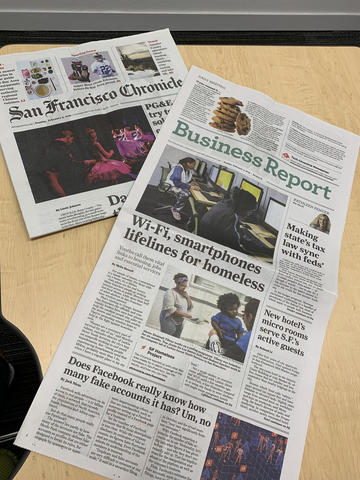 Thank you to the San Francisco Chronicle for writing about the importance of having access to technology especially to those who don’t have a home. Young people in our programs who were featured in the article shared that they rely on their phones for everything from tracking public transit, submitting job applications, to the sense of security that smartphones provide. Want to help a young person experiencing homelessness access technology? Learn more about our first ever Device Drive!